If you have a rich WordPress site, you’ll need a way to keep all of your content organized so that users can find what they’re looking for easily. While you can have a graphic designer create this robust feature for you, you can easily do it yourself with a special plugin. These plugins help make your website’s navigation more user-friendly, which is a huge plus when it comes to SEO and search engine rankings. Every website should be user-friendly and using this plugin in a great way to achieve this goal. Also, using a table of contents plugin for your website can be a very effective way of conveying information to readers that visit your site. WordPress doesn’t have an in-built function for this. As a company, brand or blogger that uses WordPress for their site, using a table of contents plugin will boost search rankings and improve the user experience. Just like a book has a table of contents, your website needs one, too. This is especially true if your website is filled with lots of content, which can be quite hard to navigate with no map. Plugins are the easiest way to help users know where to look for content and improve your rankings. A user friendly, featured focused plugin which allows you to insert a table of contents into your posts, pages and custom post types. Automatically generate a table of contents for your posts, pages and custom post types by parsing its contents for headers. Optionally enable for pages and/or posts. Custom post types are supported, as long as their content is output with the the_content()template tag. Selectively enable or disabled the table of contents on a post by post basis. Choose which headings are used to generate the table of contents. This too can be set on a post by post basis. Creating table of contents automatically from post content. Support post, page and any other public post types. Fully responsive. Adapt on any device size. Display on top of post content. Support adding widget to fixing in sidebar. Scrolling smoothly to heading target. Indicating current visiting heading dynamically. Customize freely position, size, font, color, etc. Support the shortcode feature that placed anywhere to show TOC in a post. Support the post that have ‘nextpage’ quicktag. Determining which headings to show in TOC. Showing a short hint when scrolling to the heading target. Create your favorite style freely. Set individual option for every page. Lots of animated effects for selecting. Support popular page builder plugins, such as Visual Composer, Elementor, Thrive Architect, Divi, etc. This plugin automatically generates and inserts a table of contents (ToC) to your pages and posts, based on tags h1-h6. Whenever the plugin discovers more than a certain amount of headings (default: 3) the ToC is inserted at the top of the page. Automatically generate a table of contents for any HTML container using a shortcode. 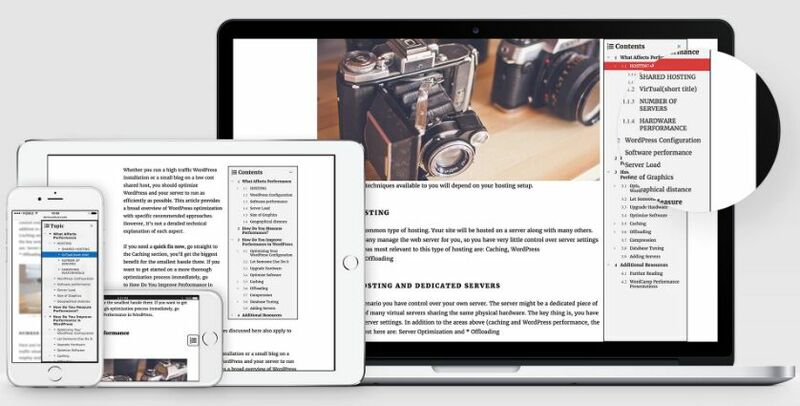 This WordPress table of contents plugin allows users to generate a table of contents which can be added to any page or post of your WordPress site. This table of contents plugin supports building a multi level table of contents which is fully customizable. The plugin lets users create a content specific index of your content with shortcodes. 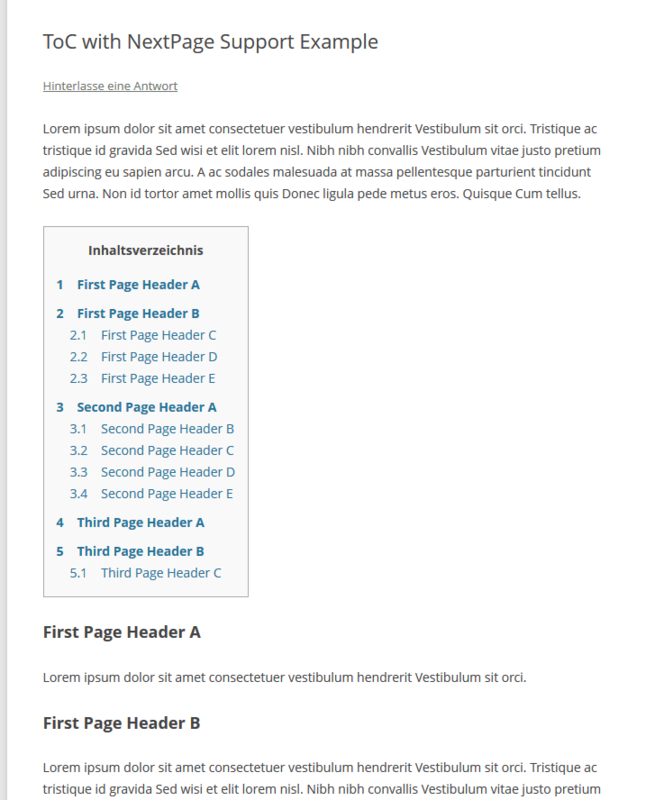 Even if your website is filled with lots of content, it’s still a good idea to have a table of contents plugin on it. Plugins are easy to install and simple to maintain so you’ll be able to do the implementation yourself. 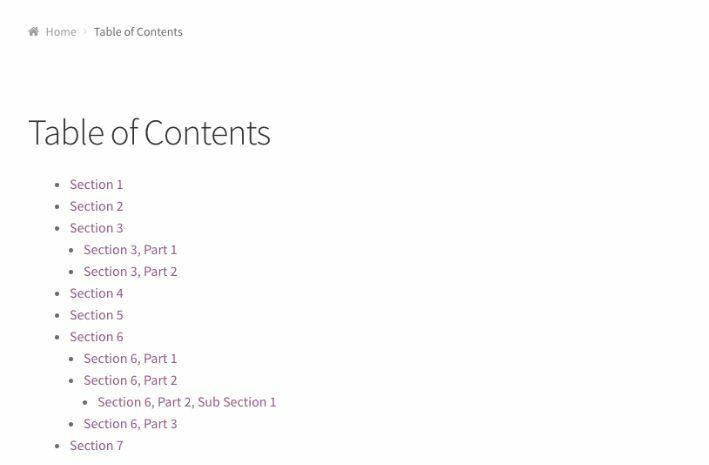 Always look for a powerful, yet user-friendly, table of contents plugin that will help your readers navigate your website!